Gold is the strangest of commodities, used essentially only for adornment and investment. But the oldest measure of wealth, and its reemergence this decade, tells us a lot about our world. 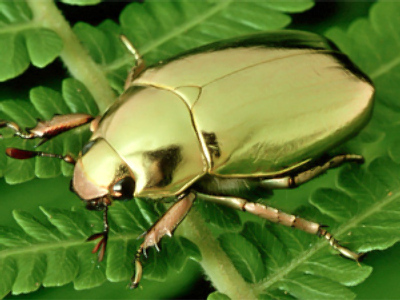 There’s a stereotypical image of the sort of person who would describe themselves as a ‘gold bug’ involving a touch of conspiracy theorist, a solid resistance to mainstream economic and investment beliefs, and a strong sense of being prepared for the end of the world as we know it – invariably getting closer – where gold will be of use. More extreme versions of the stereotype often take in backwoodsmen with rifles loaded and homes well stocked as insurance against the social breakdown and general economic chaos that day will entail. The personality type is invariably, if not a half shade of ‘barking’ then quite likely betraying the stoic loneliness of the righteous, with the intensity of focus on gold having precluded much focus on other things, and the interpersonal skills sometimes a little shaky. Step on up fellas – you’re on! It isn’t just the stereotype gold bug which has pushed the price of mankind’s oldest store of wealth to record highs. A range of factors quite mainstream, and comfortable within economics textbooks, mean that a paradigm shift may well be unfolding. It may be for the short term if you are a sceptic, it may be forever if you are a true believing gold bug. But gold is back, and back in a way unseen for a couple of generations. The biggest single factor which has seen gold push from about $950 and ounce a month ago, or indeed for much of this year, to beyond $1050 this week, has been the American dollar. A look at the US dollar index has seen it on a general downhill slope since hitting a peak in the highs 80s in late February. Back then it, along with gold, was a beneficiary of the worlds flight to safety on the six month old fears of global economic meltdown. In the first week of October it is in the high 70s as risk appetite grows, and more signs of green shoots, economic rebound, or simply just the bottom of a recession appear. The mainstay of the global financial system since the end of WW2 it’s under pressure it hasn’t ever been under before. If it isn’t concern about a US Budget deficit being talked about in trillions, or a current account which, at the bottom of the biggest downturn in 75 years, is still well beyond 4% of GDP, there’s a short term outlook involving tepid recovery – provided the unaddressed risks in the banking system, inevitable tax increases, interest rate rises, and debt levels don’t shove it back into recession. We might walk through the valley of recession without wearing too much more of a kicking, but the short and long term outlook on the greenback is nothing short of ugly. Time for a new global reserve – how do we get there? That ugliness has everyone from the Chinese and Japanese, to the Arabian petro States and the IMF, wondering if there is a better way to price their products or to store their reserves. Talk of new global reserve systems, or new reserve currencies washes across the media pages without seemingly considering, to any great extent, the sheer enormity of the management process required if the world is to wean itself off the use of dollars. It isn’t a simple decision stop using one currency and move to another. The elephant in that room is what do you do with reserves and contracts already in place in the dollar, and what happens to those reserves as talk of moving away from the dollar picks up. Essentially there is a rather large Mexican standoff taking place involving all the large reserve nations and their generally largely dollar denominated reserves. Beyond China’s well publicized more than $1 trillion in dollar denominated reserves there is Japan, Russia, Korea, India, Singapore, Hong Kong, Germany, Brazil and France estimated as having more than $100 billion worth. So every time the dollar moves a percent one way or the other, and lately it’s been the other, that’s billions or tens of billions up or down. That leads to an interesting situation where whenever one wants to sell some of their dollars, they are reducing the value of the reserves of whoever isn’t selling by potentially massive amounts. This means that considerable multinational management needs to be part of the moving process, because if there isn’t, then there’s a fair chance the trade and investment world as we know it could turn to mush. For anyone looking for some sort of insurance against the possibility that vested interests, geopolitical rivalries, trade wars, and home protectionism could undermine that cohesion, then gold is a logical place to have the policy. In the context the dollar having been beefed up by a year of investor flight to safety, and away from risk, a little bit more gold isn’t likely to hurt. Time for a new global reserve – but what? But before anyone moves, assuming that the situation with the US dollar is that bad, there needs to be some agreement on what is moved to. The last time there was a change of global reserve currency was essential between WW1 and the end of WW2, with its denouement at Bretton Woods in 1944, as the British Pound made way for the dollar. Back it was relatively easy for the two nations to sort things out. Britain was massively in debt and virtually every major economy other than the US had been heavily damaged by war. They were the major economies. The deal between those two was, in the end, straightforward, and essentially everyone else signed up to it. That saw the US dollar take centre stage, originally backed by gold, which was the basis on which many other nations agreed to use it for their trade. By the time President Nixon decided the US wasn’t going to back the dollar with gold anymore, in the 1970s, there wasn’t another viable currency to use. The French raised the most strident concerns back then – everyone else just got on with the job. Seeing as the dollar was the currency of the world’s largest economy, and was also made the contract currency for most major commodities – particularly oil – if it wasn’t a particularly principled position, it was at least practical. This time round, if there is to be a this time round, things will be a little different. If it isn’t to be the US dollar there is little likelihood of any other national currency becoming a centerpiece of the global financial system. Japan and China have overtly been using their currencies to support an export based mercantilism for a generation. The Euro still represents the cobbled together interests of the Eurozone and has become something of a straitjacket for some economies within it over the last year, and it is unlikely that the world will want to rush back to Europe and its collection of interests, for any form of fiat currency. Next time around it is going to have to be something negotiated, something politically combined and considered. And that is going to take time, and involve a fair bit of squabbling. China has talked of using the IMF Special Drawing Rights, but they aren’t likely to be taken up on a large scale, if only because of complexity, and uncertainty about what they are, and how they might be used. In that sea of uncertainty there is a relative degree of certainty that risk free investment will be in demand. Should all that time and squabbling take place as the US dollar is weakening there will be further upside for gold. If a long term environment encompassing dollar uncertainty, as well as questions on what else could be used as a reserve, and how to get to that something else, isn’t supportive for gold, there a shorter term outlook where governments will err on the side of inflation over deflation, and where quantitative easing has become the mantra for a number of central banks. After a generation where it looked as though inflation was dead for the more advanced economies, Central Banks from the US Federal Reserve, to the Bank of Japan and Bank of England are desperately trying to get a little bit more inflation into the system. And inflation is good for gold, holding its value where everything else loses it. If you think that large debtor nations wouldn’t mind inflating away a little bit of what they owe then anything which holds its value is going to appeal to you, and gold will be something you will look closely at. If you think that maybe nations who are spending their way out of recession will hold their stimulus in place until they are more certain that an economic rebound is sure, then you are probably thinking that the risk is towards more inflation than needed than less, and again you are probably thinking gold. If you think the domestic politics in a range of nations may mean they lack the discipline needed to end stimulus spending at any given point, then you will be having a look at gold. Gold is back in demand amongst central banks too. Only 2 weeks ago the IMF was widely believed to be in talks with China about possibly selling the entire 400+ tonnes it is going to sell to help fund its support measures. When word of that came out – just before the G20 meeting – gold was sitting at about $985 an ounce. So that range becomes almost something of a floor of expectation if you think that China may well be buying on the open market if it doesn’t get a bulk discount from the IMF. Russia too has been widely believed to be buying up its own gold production from domestic producers who are upping output 11% this year. It’s a long way from the announcement that Britain was selling its gold reserves 10 years ago – a decision which currently appears to be a benchmark for political ill timing. But it isn’t just central banks. The great advent of the gold backed ETFs means that there are now much bigger non government players on the gold scene. Everyday investors wanting a gold backed instrument of some sort. That currently sees some of the larger funds with more gold in storage than all but the largest sovereign players. It has been some of these that have been most obviously accumulating gold this year. In addition to that is the record level of demand for gold bars and coins at mints in Australia, South Africa and Europe, as more smaller investors look to get themselves something of a hedge against either inflation, or dollar devaluation, or economic chaos. The doubters still point to gold’s volatility, as well as its lack of return as an investment, and say that when the good times return those currently investing in gold will look for equities or real estate or something which maximizes a return. They also note that the price climb, since the sell off of last October pushed it briefly as low as $700 per ounce, has seen it draw more and more scrap gold into the system, which they argue most eventually take the sting out of the price, as well as the major drop off in demand from India, where the price rise has seen gold purchases for jewelry diminish sharply. 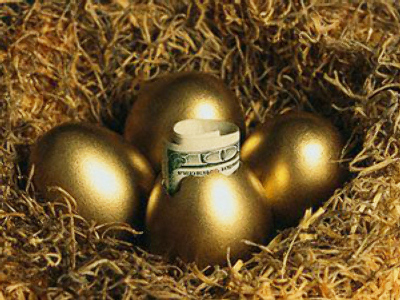 The other major, and quite pertinent point, made against JM Keynes ‘barbaric relic’ is that investing in gold becomes at some point an investment against nearly every other investment you make – if the things driving gold buying eventuate, then the marginal utility of investing in anything may well be quite diminished. But despite these quite valid concerns there is the fact that apart from a dip below the $900 mark in April for about 2 weeks, and the first two weeks of the year, it has remained comfortably above that mark all year, with the bulk of the period since May above $920. Gold has comfortably outperformed almost every other asset class over 2008-2009. So, at the moment the gold bugs are enjoying their day in the sun, with the first week of October seeing the old all time high of $1030 passed and the $1050 mark cleared 2 days later. This week it is possible to find numerous analysts tipping a fall back to somewhere near its ‘historical average’ with figures like $400 and $500 being brandished about, and invariably any forecast is hedged with the word volatile – if its gold you can be sure of its volatility. But equally as easy to find are those saying that yes gold still has an upside from the now record $1058 an ounce, usually with some supporting sentiment in the reasons outlined here – almost none of which will ease within the short term, and many of which will still be with us for years. Numbers being bandied about range from $1100 to $1500, and even $3000 and $5000 – even gold bugs have gold bugs in their midst. But the gold bugs appearing bullish on the TV screens now are well dressed and seem, maybe, a little less cranky than they did just a short time ago. For it is the season of the gold bug.